The family run company, which employs 17 staff at its Hebden Bridge site, has been supplying and servicing professional machinery to the Groundcare sector for over 17 years. However, this new working partnership with Kubota has seen Bob Wild Machinery reshape and relaunch its business model, embarking on an exciting new era targeting the professional farming industry. 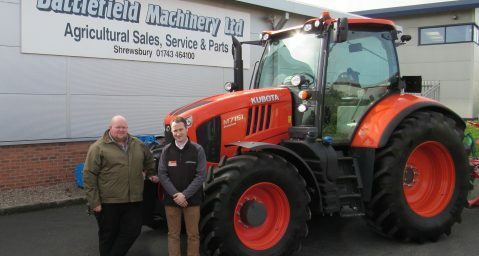 The deal means that Bob Wild Machinery is now the independent dealer for Kubota’s complete range of agricultural solutions in North and West Yorkshire (covering up as far as Scotch Corner on the A1 in the East to Tebay in the West.) 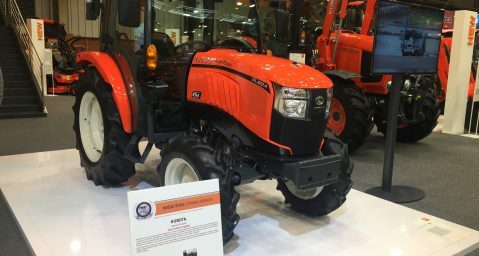 This includes the supply of Kubota’s recently launched M7001 Series (130HP to 170HP) – the biggest, most powerful and efficient tractor that the Japanese machinery manufacturer has ever built. Bob Wild of Bob Wild Machinery commented: “Having operated in the Groundcare sector since the business was launched in 1997, entering the agricultural industry is a major evolution for our business. 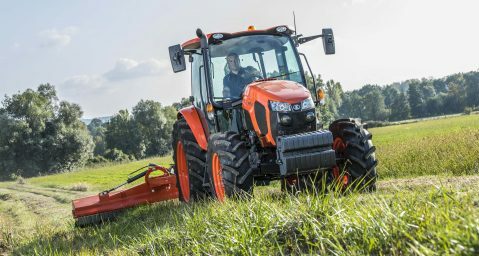 As well as Kubota’s new flagship M7001 Series, Bob Wild Machinery will also supply Kubota’s market leading range of high performance M Series, MGX-II Series and Grand L Series agricultural tractors. The company has also introduced a dedicated service centre to ensure its customers the highest levels of service. In addition to Kubota’s new agricultural machinery solutions, Bob Wild Machinery will also continue to service and supply nearly new and refurbished Groundcare and Construction Equipment. Richard Wild of Bob Wild Machinery said: “This is a really exciting opportunity for both parties. For Kubota, a brand that has built up an enviable reputation in its core markets over the years for quality, reliable and high performance machines, powerful engines and first class aftersales support, it enables them to expand its agricultural presence into North and West Yorkshire. Visitors to Ireland’s premier farm machinery event had the chance to see the Japanese manufacturer’s M5001 Series for the first time, with the recently launched M5111 making its show debut in Ireland.